Only SysAdmin security levels have access to these features. From the top menu inside Titanium, select 'View' > Audit Sessions. 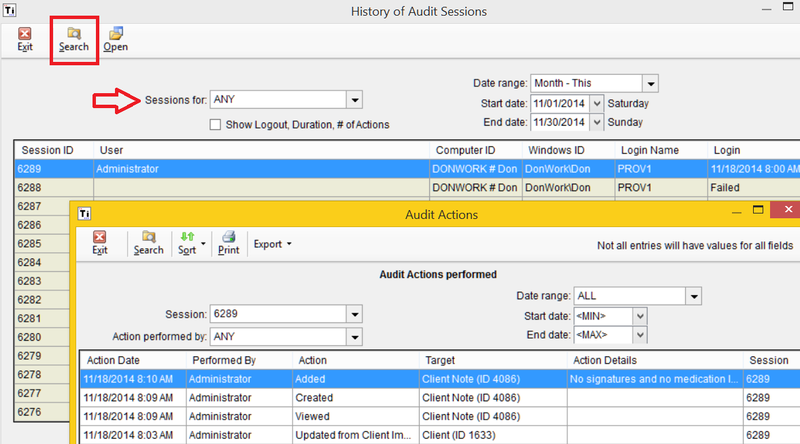 For successful logins, you can then double click the session and see actions performed. Any time you change "Sessions for:" or date filters in this section, you need to press the [Search] button. Provides an 'Actions' oriented view of sessions. All content is Copyrighted by Titanium Software.